Monte-Carlo Casino :: Play Twin Spin NOW! 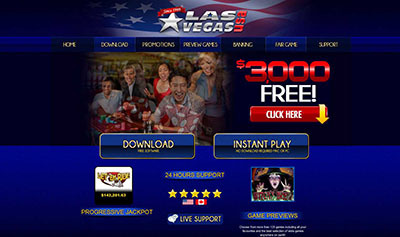 November 21, 2013 (Press release) – Net Entertainment have brought together the very essence of Las Vegas and the best new-age video slot technology to deliver the latest game Twin Spin™. There are a massive 243 ways to win and no bet lines as music takes players back to a time of traditional slot machines with a unique innovative twist. Every single spin sees at least two of the reels synchronised and linked together. Players have the added thrill of wondering whether the linked reels will be twined, tripled, quadrupled or even quintupled. 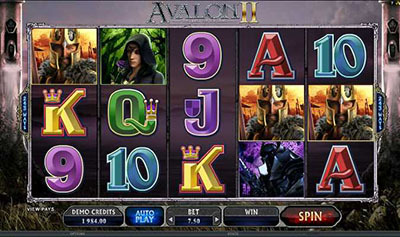 Wild symbols appear on reels 2, 3, 4 and 5, and substitute for all symbols. 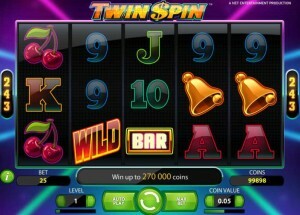 Twin Spin™ :: You can try this NEW Slot game right now at the following casinos: iGame Casino, Monte-Carlo Casino, Jetbull Casino, Unibet Casino, Vera & John Casino, ComeOn Casino, Mr.Green Casino, EuroSlots Casino and RedBet Casino. ← New Christmas Slot Game – Santastic!